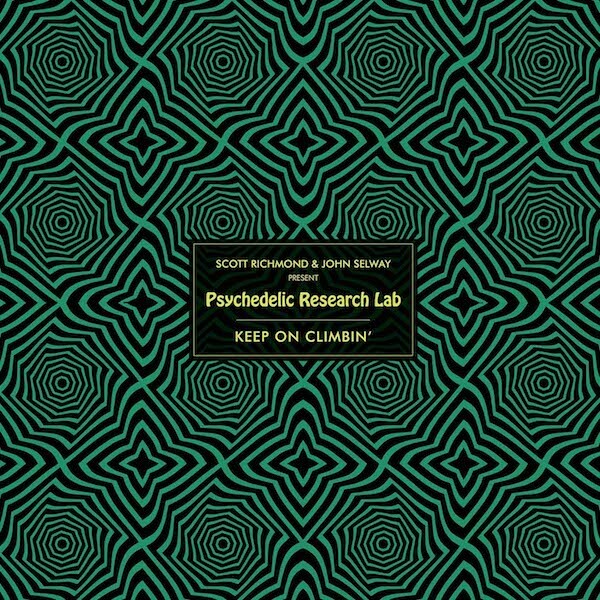 Psychedelic Research Lab (PRL) “Keep On Climbin’” was born out of the Satellite Records store in NYC, a famous record store that sold almost 750,000 records a year to some of the biggest DJs in the world. From PRL Scott Richmond was co-founder and John Selway worked there the first 5 years of its existence. They met at their college/music conservatory and had a shared passion for dance music. I could literally pick one of twenty different records from Nice ‘N’ Ripe, Swing City or the many other places Grant Nelson appeared. We had one of the first Point of Sale systems in a record store that would keep track of what customer bought which record. I would send faxes to Grant’s office showing him (or whoever was at that mystery office) a who’s who of famous deep house DJs from around the world who would buy his stuff at my store. To me, Grant, Basement Jaxx, Mutiny, Paper Music, Idjut Boys and others from the UK or Europe raised the bar for production values and created the sound of house I know and love. While we sold many, many Adam Beyer tracks on Hybrid Productions (Cari Lekebusch’s label), Planet Rhythm, Loop, and other Swedish techno labels run by his cohorts, it was his first release on Drumcodes that really broke the walls down, turning more than just “techno people” on to his music. At Satellite we had a strategy—we wanted to cross-polinate and we saw how techno was evolving into something that NYC tribal house DJs would love. So we said “pitch down to -8” and/or would play it that way. We sold this record to Danny Tenaglia, Victor Calderone, etc. (and pretty much every other big room DJ in NYC) and Adam Beyer was then on the radar of the house music community. Of course now, it’s a given that his music is played by house DJs but it started at Satellite with these DJs. Along with Grant Nelson, to me, Basement Jaxx were the group to take house to a higher level of production, to bring in brazilian influences, and to swing out with brilliant next-level orchestration. I fell in love with this record and sold hundreds and hundreds. (and every subsequent Basement Jaxx record). It was pushing these type of records that had the house community of New York accept that Satellite wasn’t some “rave store” but a place for quality musical house. Incidentally, Satellite brought Basement Jaxx to America for the first time in 1996 for a rave we threw in Chicago (which also featured Matthew Herbert). I’m sitting in my office with my 20-something employees “Once upon a time, years before EDM, there was this group, and somehow they ended up on more car commercials, video games, and movies than Skrillex ever did.” And still they were straight up underground making some of the most high quality breaks ever to grace planet earth. To people in the US they were funkier than Chemical Brothers and were much more the sound of the dance floor from LA to Miami to NYC. Funky Breaks was a huge part of Satellite and of course the inspiration for the breaks side of Keep On Climbin. DJ Dan would call our store almost every week and do mail order with us, and he is one of the most amazing DJs you’ll ever hear. Bassbin Twins (aka Pete Houser) creates both the art and an amazing array of samples on his unique take on Funky Breaks. Put the two together and you have an epic record that Satellite sold by the bucketload. Do I pick “Shake It” or “Movin Through Your System”? While we probably sold a lot more of Movin’, Jark Prongo aka The Good Men aka Tomba Vira aka Dj Zki & Dobre who are probably better known today as Chocolate Puma are René ter Horst & Gaston Steenkist – 2 brilliant men responsible for so much good dance music it’s almost impossible to fathom. They continue to produce as Chocolate Puma but also, behind the scenes, lend their talents to Holland’s top artists in varying capacities. “Shake It” was embrased by mainstream New York house DJs who hadn’t a clue about their previous legendary tracks as The Good Men or all the amazing music of theirs on Fresh Fruit and Touche. JP was a little secret itself that grew into it’s own legend. Those who are lucky enough to work with them know the magic that they create between their ears and between the speakers. People who knew me as a DJ back in the day knew I had 3 producers in my box – Grant Nelson, Basement Jaxx and Todd Edwards. When Todd Edwards first records came out (this is the second one) I couldn’t have imagined in a million years that a literal style of music would be created trying to emulate his sound. His unique approach of sampling and rhythm was all his own. When I first sold these records people were like “why are you pushing this on me?” but by the time “Saved My Life” came out he was already becoming a legend. I didn’t know how this guy from Jersey was doing this. I picked up the phone and called the number on the label and George Calle picks up and I told them come shop at Satellite! Those who think of Laidback Luke as just an EDM DJ are sadly mistaken. When Laidback Luke started out he made banging house music. Supposedly this is his first track (I say that because it’s so great) and it’s on the prestegious Touche label that hosted some of the greatest dance tracks ever. Being on Touche and being a house banger meant this ended up in everyone’s box. We sold hundreds and hundreds of Luke’s releases, and even had him come to the US for the first time for our Sputnik 7 party. He did eventually evolve into an EDM guy, but at his core he is one of the most talented house/tech house producers around. No Satellite can be complete without Satellite’s premier label. Central Park was started when Texas native and Fair Park founder Sean Holland and I started a label together. Originally, the idea was to have all forms of house on one label (ala Yoshi Toshi), but when we landed on this track there was no turning back from the unique live house – meets deep sound that started with this release. I had originally engineered and co-produced Christian Urich’s Cooly’s Hot Box’s demo in college that got them signed to Polygarm (though that didn’t work out but one song ended up on a Polygram compilations – more on that later) and Christian and I always wanted to work together again. He brought in a demo of a track which he had made Drum & Bass speed with Swingsett. I thought the song was great and asked him to re-record it house music speed. We then signed it, and Sean gave it to Osunlade (who happened to be a regular customer) to remix and the group Tortured Soul was born. And the rest, as they say, is history. We released their first 8 singles, Christian established a full live band to play all the songs live, and 17 years later Tortured Soul continues to tour the world. Oh did I mention that this was a massive Body & Soul anthem they played every week? The few deep house people who were holding out on us now really had to come through Satellite’s doors. This track belongs in the “legendary” pile. While DJs who were strictly house DJs might not have known Orlando Voorn, rave people certainly did. Fix “Flash” had already been burning up the techno dance floors for a couple years and he was well known for being on the prestegious R&S label and his own label Night Vision (as Baruka). When the original “In Da Jungle” came out on Urban Sound of Amsterdam it was solid, but then Tag (a store in the UK) licensed it and got Mod Wheel AKA Tom Middleton & Mark Pritchard AKA Global Communications AKA Jedi Knights AKA Reload to remix it. To say that Tom & Mark were a store favorite wouldn’t nearly capture how we feel about them. We made it our mission to blow up as many of their records as we could and loved them since their ambiant albums, sold the crap out of their breaks stuff as Jedi Knights, and got Mod Wheel tribal’s sound into the hands as many. Satellite was ground zero for French House. If you wanted to buy French house in NYC you came there. I would easily have two or three bins of French artists as their own thing: Alan Braxe, Cassius, Fred Falke, Busy P, Etienne de Crecy, i:cube, Pepe Bradock, Daft Punk “Homework” Dimitri from Paris, Antoine Clamaran and more. Vertigo (Thomas Balgalter Mix) represented the quintessential record we’d sell. It was so pumping we made sure every Chicago house fan got it, we’d push big room house DJs to try it, and on and on. Funny story: I sold so many Roule records (Stardust’s ‘The Music Sounds Better With You’ came out on it as well) that I bought from them directly. Their sales guy was a guy named Pedro and we loved talking every week. That guy Pedro is Pedro Winter better known as Busy P, founder of Ed Banger Records. It was an honor to have Armand in the store almost every week. The sound he created that eventually became known as “Speed Garage” and we had the biggest Speed Garage section in all the land! While this track doesn’t have that Speed Garage sound (but it is a classic) it’s got a great story behind it. It ends up the keyboard hook from this track was sampled from the Polygram compilation mentioned above! So the one track Cooly’s Hot Box got out on Polygram ended up coming out on a compilation CD and Armand sampled the riff at the beginning of the track. So literally in the store I was able to facilitate Christian getting sorted out for that track. I can tell this story 22 years later right? Erick Morillo walks into the store. He says “This is my new label.” We play it and are floored. Americans made this record? Not French people? We’ll take 50 to start. (50 was a lot back then especially for a new label and an artist no one has heard of before). Harry Romero & Jose Nunez killed it on this, and they were regular customers every week. To me this release marked Americans finally answering back to the superior production values of Europe. Erick Morillo is a super savvy businessman on top of being a great DJ and producer. He saw how he was playing records from France and the UK and Germany (filter house style), and finally showed Strictly Rhythm and the rest “This is how it’s done!” – proper production, proper mastering, proper cover. Everyone thought it was an import even when it wasn’t. Yellow Productions and Bob Sinclar were a big part of the personality of the store. Besides this being a favorite for me as a DJ, it exemplified the soulful and uplifting sound that marriage of Brazilian and French house could make. Yellow Productions put out some of the highest quality tribally deep and soulful house – Dimitri from Paris, Africanism, Kid Loco, and more. He is known for being more commercial now, but he was so important in the history of house music. And he came from France to Satellite pretty regularly which was pretty cool!